It all began with an upload on Soundcloud and there has been no looking back for this Nepali singer-songwriter from Darjeeling. CHENNAI:It all began with an upload on Soundcloud and there has been no looking back for this Nepali singer-songwriter from Darjeeling. "Wildfire was the first song I wrote in Nepali, my mother tongue. I uploaded it on Soundcloud in 2013 on a whim. I had never expected the kind of response it got," recalls Bipul Chettri. The song received close to 1 lakh hits in a few days. Soon came another Soundcloud release called Asaar, which was a huge hit with both listeners and critics. Why not write a few more songs, thought Chettri. "After Wildfire, rest of the songs came quite naturally,” says Chettri. “I wrote six songs for the album ‘Sketches of Darjeeling’ within a year." 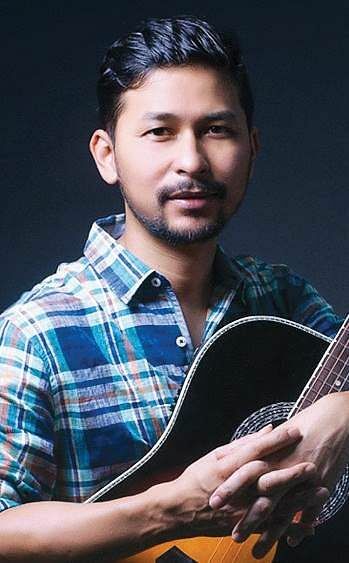 The album was out in 2014, and Chettri became the top-selling artiste on Oklisten.com, one of nation's top online music vendors. To his surprise, his folk-contemporary singing beat Indian Ocean, who were out with their album Tandanu the same year. Chettri is an artiste with a folksy heart and whose songs touch a chord with the Nepalese who are away from home. His second album Maya with eight tracks is about the simplicity of life in the mountains. “I think that’s why most people have this connection with my music. It reminds them of the local sounds, weather, people of the hills, and especially their home,” he says. And he would know better because when he is not travelling around the world to perform, he is teaching at a school in New Delhi – 1,530 km away from his home in Kalimpong, Darjeeling. Before he became a professional musician, Chettri was a teacher at Vasant Valley School, Delhi. Today, he heads the department of art at the same school. Having begun singing since his schooldays, Chettri did a correspondence course in western classical guitar from the Trinity College, London. 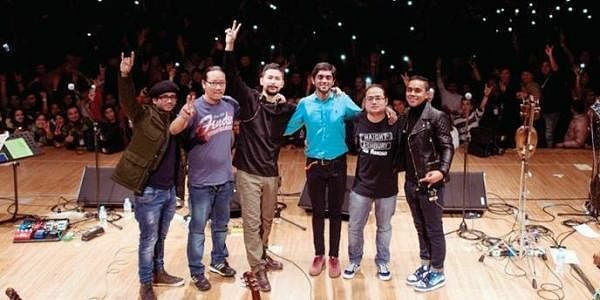 Today, the schoolboy from Kalimpong has toured the UK, the US, Australia, Japan and UAE among other places with his band, whom he calls his support system. “They help me out with my music. Also, my wife is usually the first person to listen to my compositions,” he says. His late father, Nirendra Mohan, was a revered singer-songwriter too. “I never sat down to write folk songs. It just came naturally. It was my father who influenced me. He passed away when I was young but I think his music was way ahead of his times. The songs Ram Sailee and Kahiley Kahi that I have re-recorded were both written and composed by him,” says Chettri. How has life changed for Chettri after stardom? “Except for the rehearsals with the band and the studio visits, it hasn’t changed much,” says the simple-at-heart singer, whose live performances, which are both palpable and nostalgic, are known for connecting with the audience. Interestingly, Chettri’s audiences are a mix of Nepali and non-Nepali people. The 36-year-old is all set for some more performances in Nepal and India, and is also looking forward to the release of his new single, Basant.